The Jumbo Track Equipment Medallion is perfect for a super speedy star or any member of the team with the determination to improve. 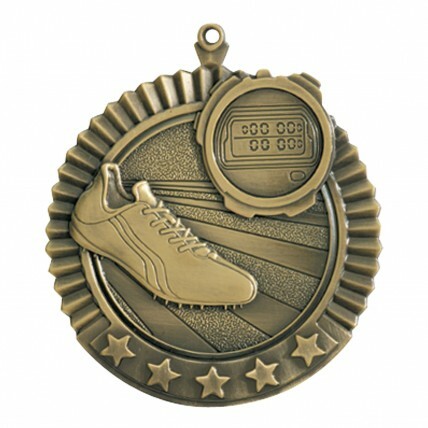 Featuring a running shoe and stop watch, this medal gives an authentic elegance to track awards. 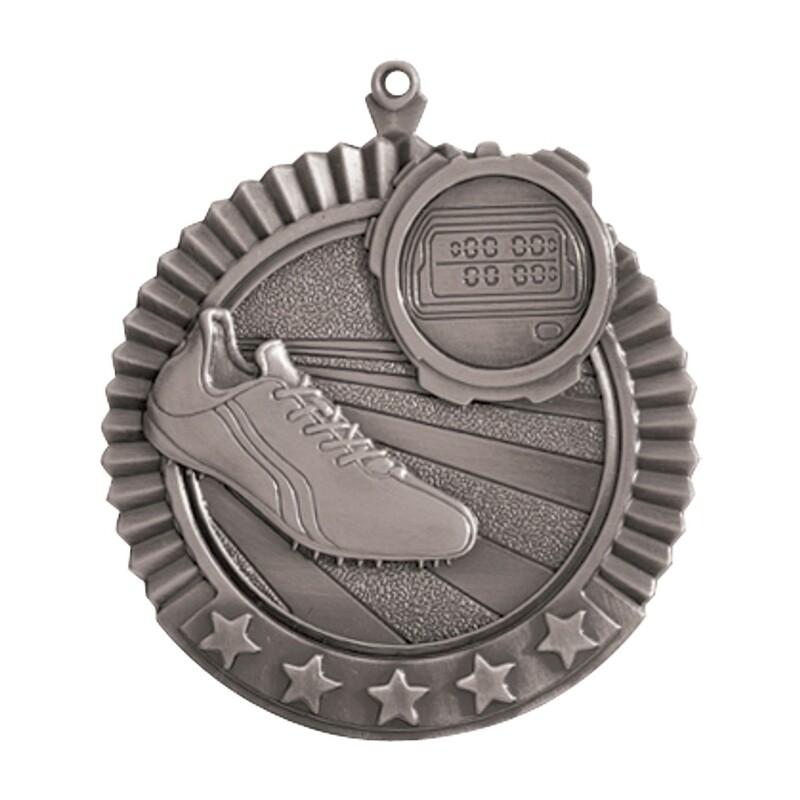 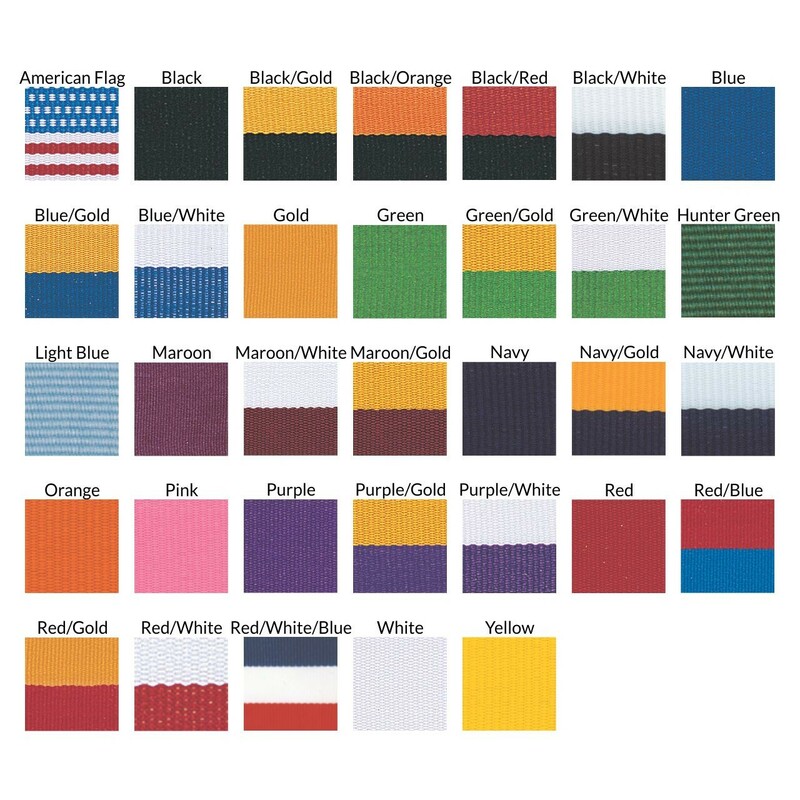 With your choice of neckdrape and metal color this medallion is sure to please any track star.